There's no preventing airport mishaps but you can buy protection against extra costs when planes are very late. On August 17, 2018, the Ninoy Aquino International Airport (NAIA) closed its runway for 24 hours due to a stalled Xiamen Airlines plane. This caused hundreds of flights to be cancelled, rerouted, or delayed for a long period of time, much to the hassle (and even trauma) of thousands of passengers. While such occurrences are unprecedented, passengers can reduce the financial costs brought about by these delays by purchasing travel insurance. 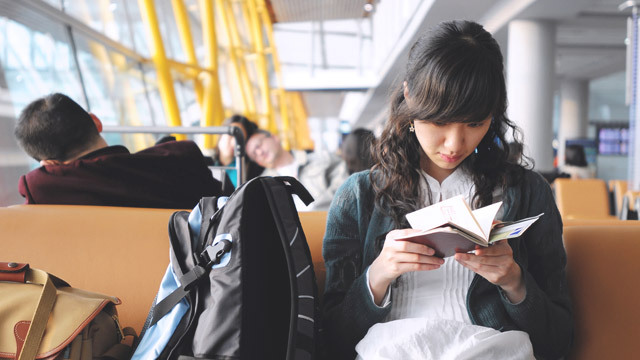 Among the many benefits that it provides is the monetary compensation or reimbursement of expenses caused by flight delays. 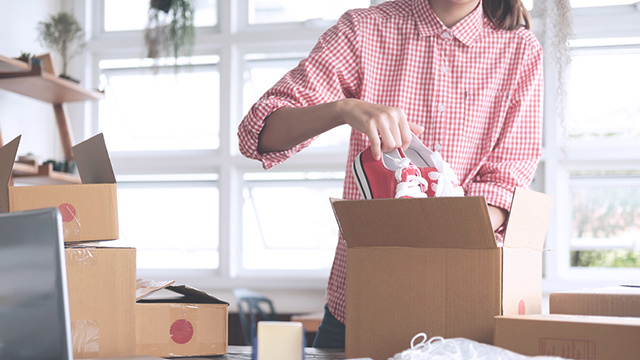 These inconveniences include expenses for food, lodging, and other similar needs, though the types of expenses covered vary between providers. Galang also noted that these flight delays must last for a very long time, such as those caused by the recent NAIA runway closure, for a policyholder to be eligible for reimbursing these expenses. 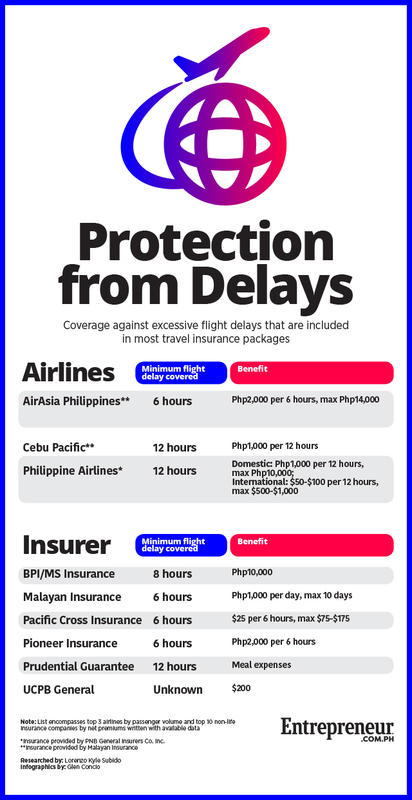 A rundown of the coverage given by travel insurance products from popular airlines and non-life insurance companies, as well as the minimum time for flight delays to be eligible, are shown in the infographic by Entrepreneur Philippines. One can purchase travel insurance for less than P500 from several providers, but the amount of the premium can vary depending on the flight’s destination and the duration of the travel. The amount of compensation one can receive may also vary across differently priced insurance products.